Yeah, you had that one summer too. I got This One Summer way back when it was still horrible polar vortex winter, and I think it just made the winter all that much more painful. Not just because it’s warm and lake-beachy and full of characters who spend all day running around in their bathing suits. 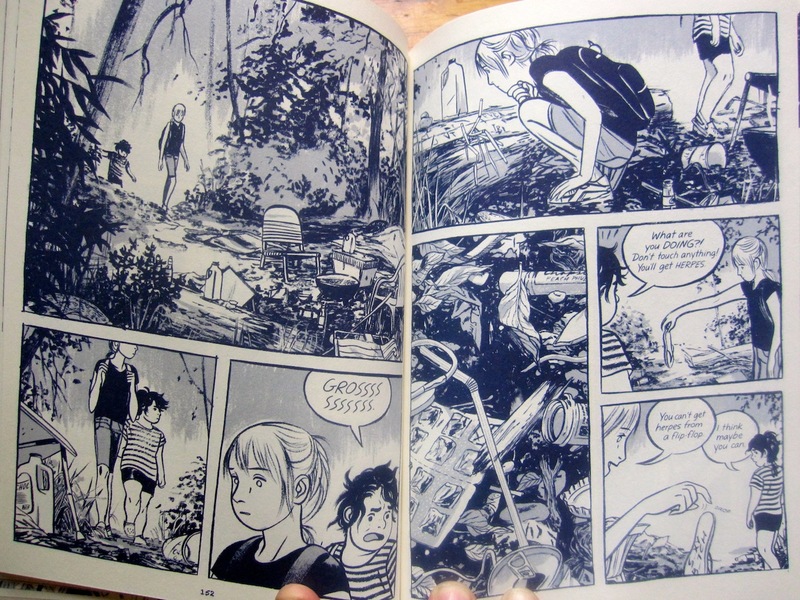 Not just because it added insult to injury by being a graphic novel, so I had to look at these gorgeous pictures of water and cabins in the woods and sunshine. 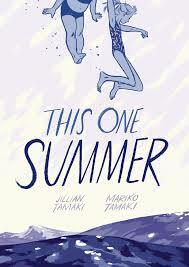 No, this is a book best read in summer because it’s about the way summer feels. Like a time for big questions, for tectonic shifts in the order of the universe. Everyone has that one summer when everything changed. 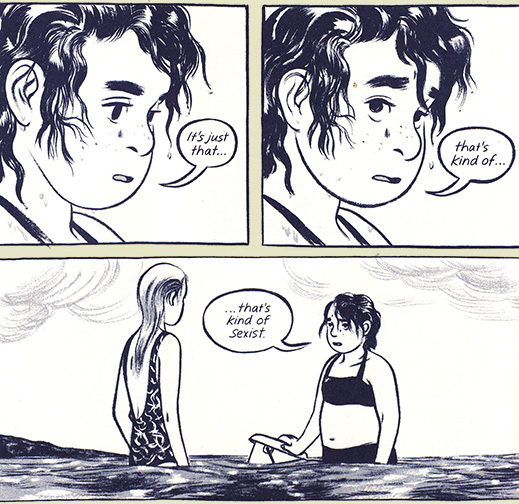 This One Summer is about Rose and Windy’s that one summer. Rose has been going away to Awago Beach with her parents every summer for as long as she can remember. She’s always spent her summers playing with Windy, the slightly younger, slightly quirkier girl next door. But this summer Windy seems so much younger all of a sudden. And Rose’s parents aren’t getting along so well. And the girls’ usual summertime spying is more fraught than usual. This book could feel mostly just nostalgic for childhood summers on the beach, but there’s more than just nostalgia here. This One Summer captures the magic of summer, yes, but it also captures the way summer, because of the way it’s set apart from the rest of the sloggy slushy year, throws those growing-up moments into sharp relief. 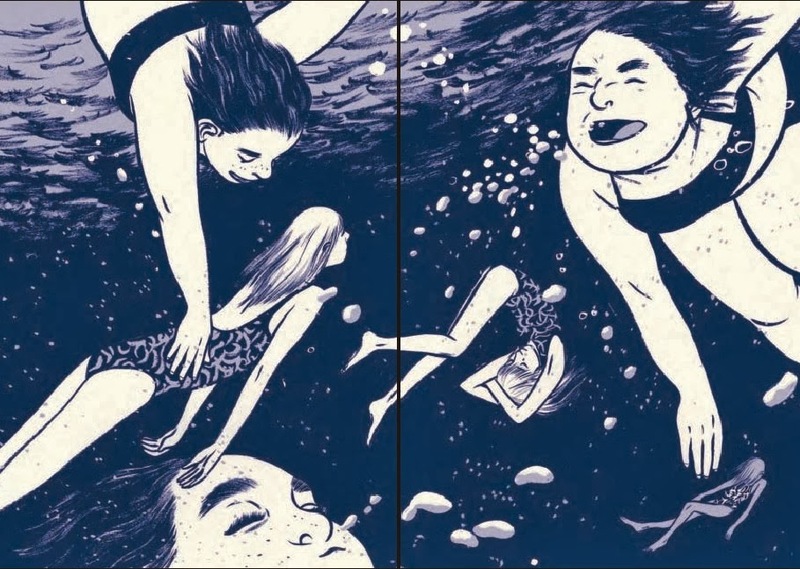 This entry was posted in July 2014 and tagged graphic novels, jillian tamaki, mariko tamaki, McNally Jackson, summer, summer reads, this one summer, ya. Bookmark the permalink. ← Carl Hiaasen wrote a lot of summery novels.